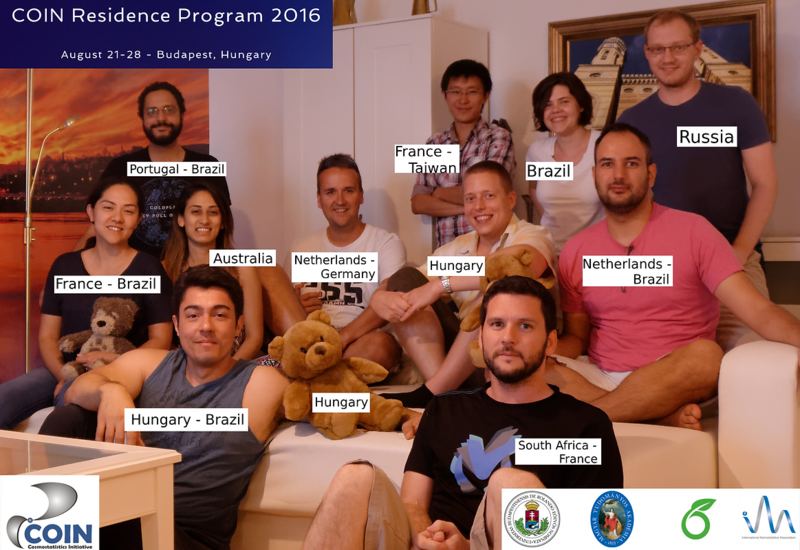 The third edition of the COIN Residence Program took place in Budapest, Hungary in August/206. The International Astrostatistics Association (IAA) is the professional association for astrostatistics and astroinformatics. Their support comes from a grant by Pennsylvania State University Department of Astronomy and Astrophysics through funds and webmaster services for maintaining the IAA website. This year the CRP #3 happened in Budapest, Hungary thanks to the logistic and financial support of the Astrophysics Department of Eötvos Lórand University and the Hungarian Academy of Sciences. We particularly thank Zsolt Frei for encouraging the realization of this edition. All COIN projects were developed using the Overleaf latex collaborative platform. We thank John Hammersley and the Overleaf team for a fruitful collaboration. PROJECTS developed during the meeting (for a complete list of COIN projects click here ).